Nifty is inside top-flight process. Under Daily chart pattern, we-all could definitely see the extension. 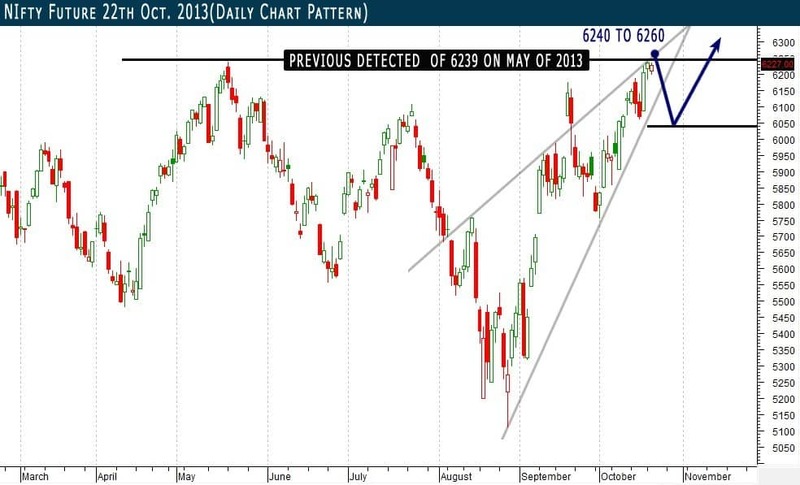 6239 of nifty future may act as hurdle and dip towards 6070 once again. Trade carefully in direction of upside. Yes, Short Trader can enter in short side with low quantities at tops level of nifty future… and long traders advisable to book profit this level. Possibility to jump 6280 by nifty future but short trader will attack on every higher level of nifty as per our view.